Seven Miles of Steel Thistles: Here Be Griffins! 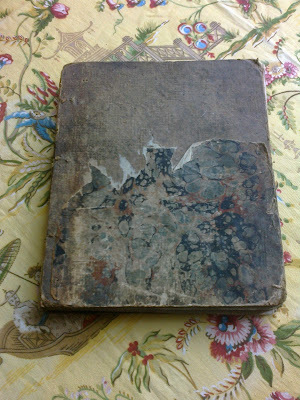 Some years ago my mother handed over to me this book, which had been my grandfather's. I suppose it must have been given to him by someone else - in fact, it must have been handed down for generations. 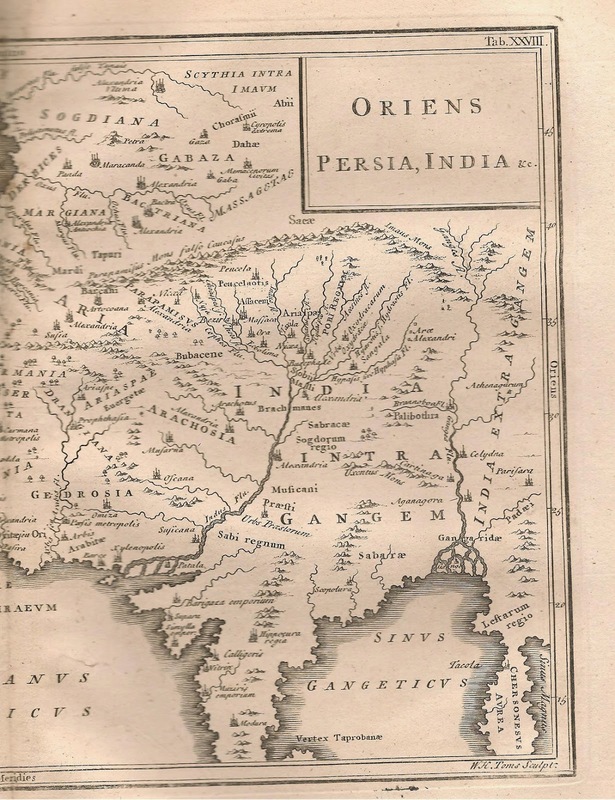 It's an atlas of the classical world dated 1785, 'Designed for the Ufe of Schools, and of Gentlemen who make the Antient Writers their Delight or Study.' 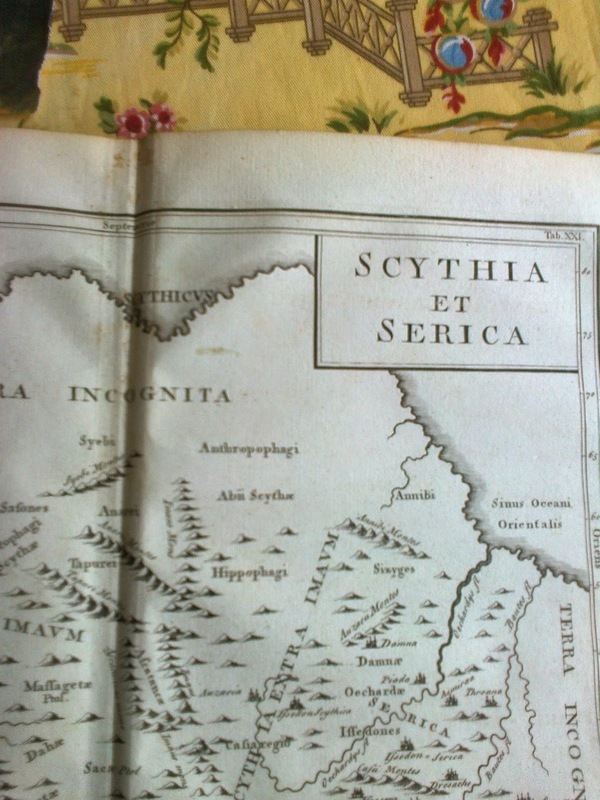 The maps cover all areas which such Gentlemen might wish to consult while following the journeys of Herodotus, or perhaps the campaigns of Alexander, or the Gallic Wars. 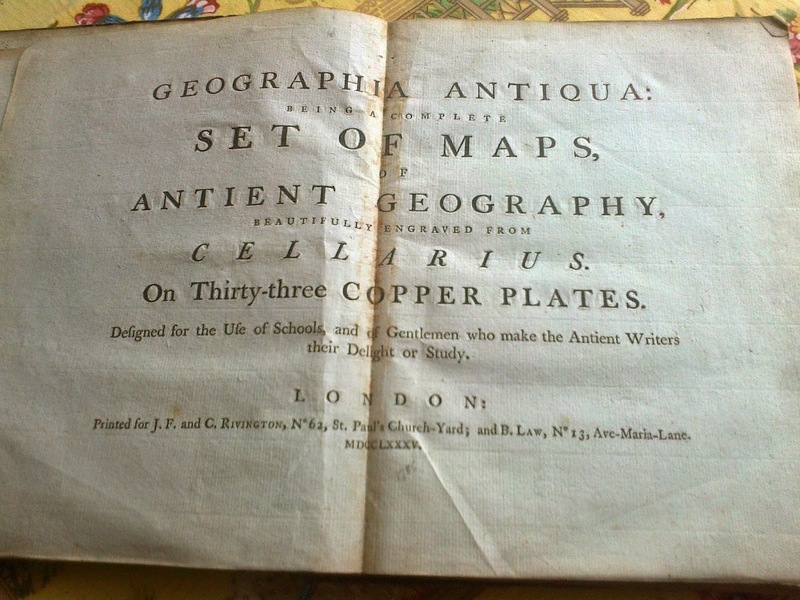 Of course the maps are deliberately limited to those parts of the world known to ancient geographers, but they aren't themselves 'Antient'. 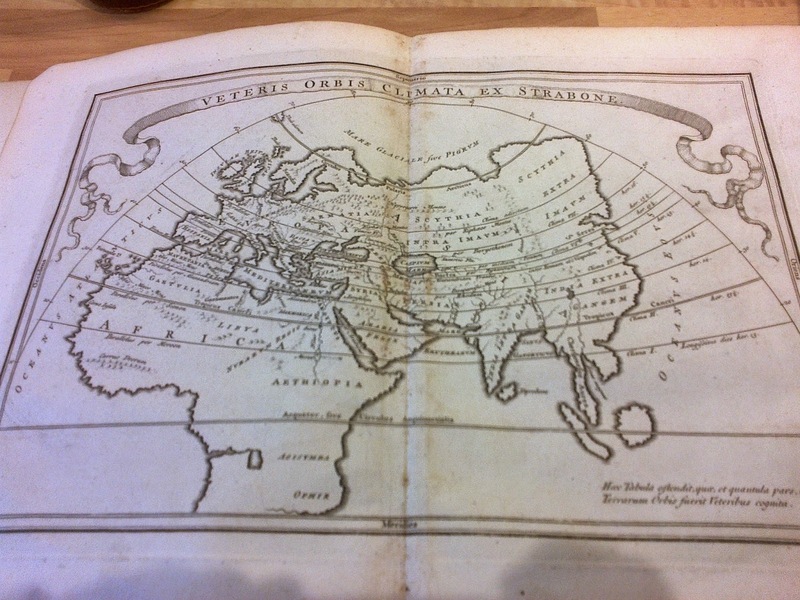 They're drawn to an eighteenth century knowledge of the shapes of coasts and continents. Like any historical atlas of today, they fit the old stories into what was then a modern frame. 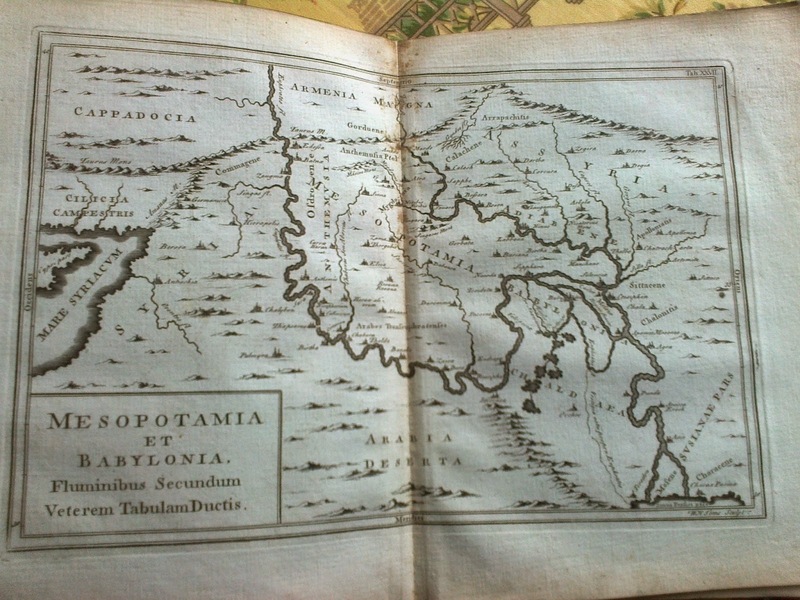 Here for example is Mesopotamia, with squiggly rivers, the Tigris and the Euphrates. A graceful line of mountains (the Taurus range, somewhat attenuated) drapes itself across the top of the map like a paper-chain. Wow. 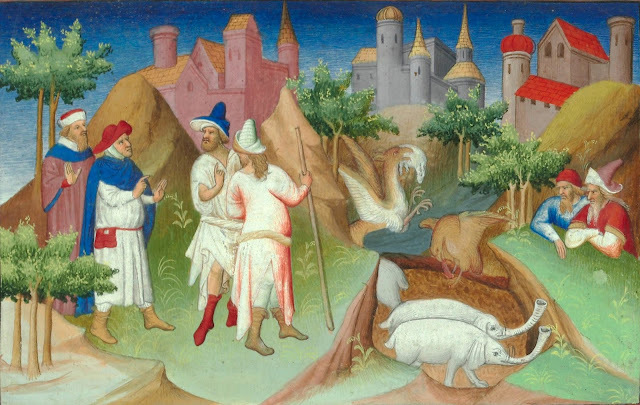 They have only one eye and still succeed in stealing gold from griffins? 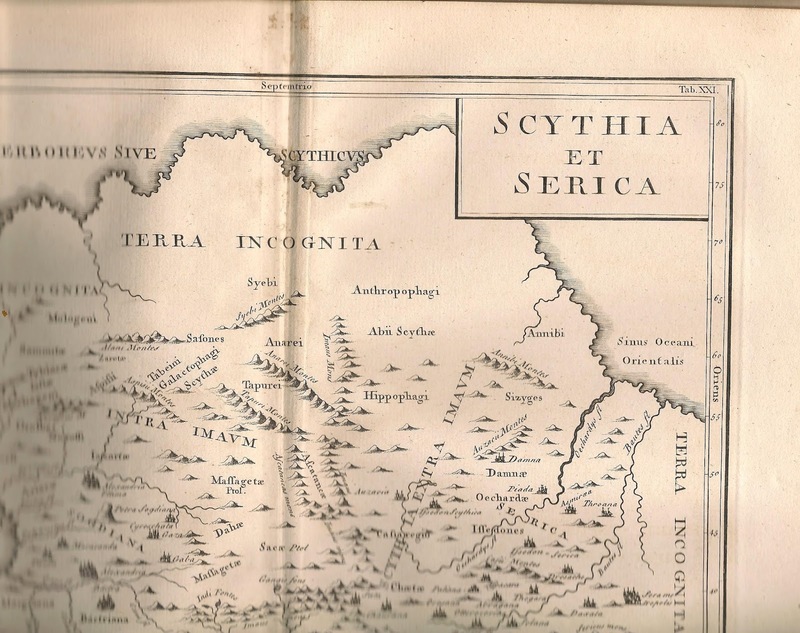 But here they are, if you can make out the name: the ARIASPAE [sic] and Euergetae, halfway down the map on the left-hand side. By that way, that graceful curve of mountains just below the legend at the top is named as the Parapamisus Mons and Imaus Mons. That's the Hindu Kush. I went hunting for more. 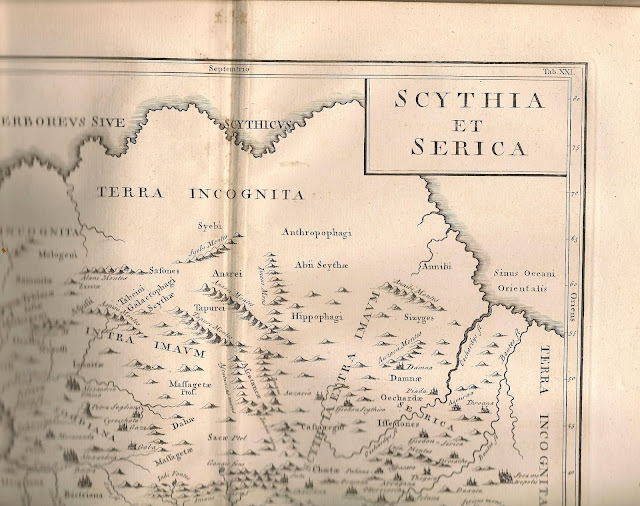 Here, at the top of the map of Scythia and Serica (peppered with cities called Alexandria) on the very verge of 'Terra Incognita' - thrilling to see - are the Anthropophagi, Eaters of Men, while below them, fittingly a little less distant, a little less uncivilised, we encounter the Hippophagi, eaters of horseflesh. Lots of almost ruler-straight lines of mountains are scattered across the map. We really do seem to be somewhere in Middle-earth! 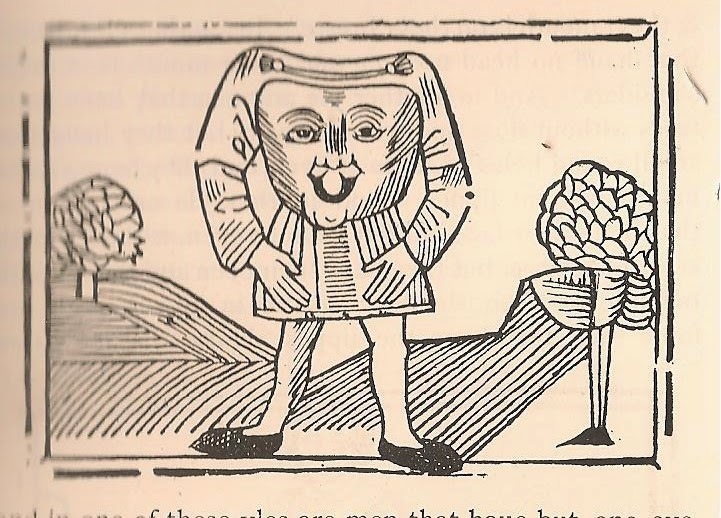 Pliny the Elder describes how the Anthropophagi, 'whom we have previously mentioned as dwelling ten days' journey beyond the Borysthenes, according to the account of Isigonus of Nicæa were in the habit of drinking out of human skulls, and placing the scalps, with the hair attached, upon their breasts, like so many napkins." Ypotains are hippos, I suppose? And the wool growing on trees, might that be cotton, or even silkworm cocoons? Since things so strange turn out really to exist, then why on earth not griffins? 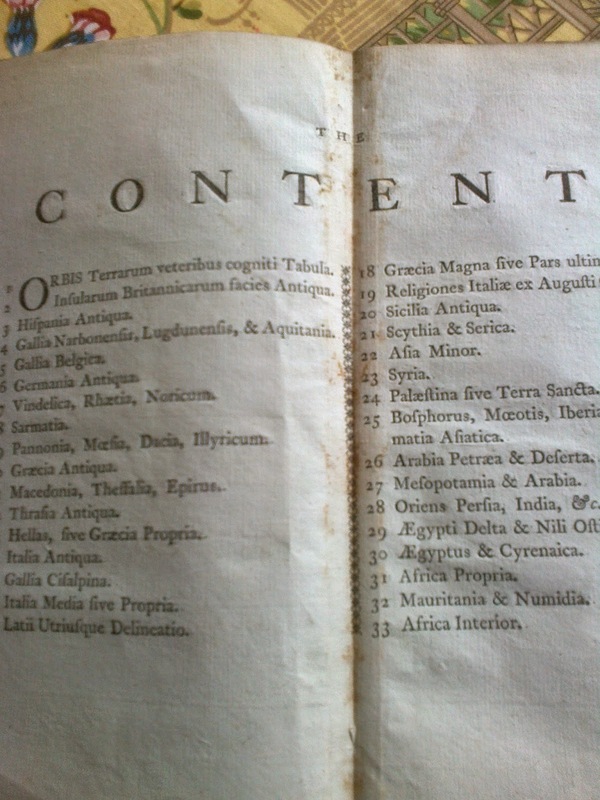 Such fun for the eighteenth century Gentleman to muse on all this as he sat in his library, drinking his port.